There’s an age-old adage that we’re stronger together; and that’s never been truer than with our exciting new acquisition! Plans are afoot for an incredible new UKFast cyber-security research lab as we take on a new company, application security specialists Pentest Ltd. We can’t wait to welcome the team to UKFast Campus, and to bolster our existing security expertise as we pioneer a safer internet. Our new superstar gets its name from ‘penetration testing’, where ethical hackers try to crack into clients’ systems to figure out where its weak spots are, and has a 45-strong team which will be joining us at UKFast Campus soon! It also has an impressive arsenal of security tools – which our team over at Secarma are massively geeking out over! – which will blend beautifully with our existing approach to create a perfect combination of offensive and defensive security, which is a must in this day and age. The new step means we’re also set to become one of the largest independent, accredited security companies in the UK, offering a service that businesses are becoming increasingly aware that they need. As you’ve probably been able to tell from all the headlines, and repeated drum-banging in the UKFast blog, security now needs to be a major part of any new business strategy! Our company has such a strong identity that it was so important to know that any addition to the team was going to fit in with our ethos and culture. Luckily, these guys are already shaping up to fit right in; our CEO Lawrence said that he knew the company was right for us when they said: “We do things differently here, Lawrence. We take our team skiing every year.” Something tells me they’ll be taking a trip to Lawrence’s hotel Le Farinet in Verbier and hitting the slopes together before too long! Teambuilding trips and employee motivation aside though, Pentest Ltd. holds the same outlook as we do, from proactive security and sharing expertise, to skills and education, holding workshops for developers around the world to ensure that the internet of the future is built stronger. 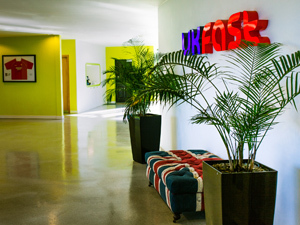 We’ve been offering our clients security solutions from basics like firewalls, to increasingly crucial tools like penetration testing, for some time and this marks the next step for UKFast in its dedication to making our clients – and the digital world – safer.